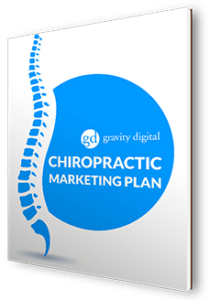 Gravity Digital has been providing marketing solutions for small businesses since 2000, and in that time, we’ve discovered something… we like chiropractors. We’ve found that chiropractors care about people and usually approach marketing from a “helping” perspective. Chiropractors have had to change along with the health and wellness industry as new technologies and research are available, so they have an easier time adapting to a never-ending supply of fresh marketing tactics, consumer behaviors, and business models. Finally, chiropractors are passionate about what they do and have valuable insights, which has always been a necessity for good marketing. This blend of attributes has proven to be successful for our chiropractic marketing clients, so we’re sharing a plan providers of chiropractic care can use to help them take meaningful strides toward growing their practices. The Chiropractic Marketing Plan below is comprised of techniques that have proven to be winners for our clients when it comes to reaching prospective patients online. 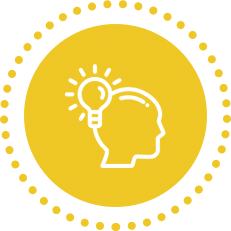 Don’t put the cart before the horse, but use discernment to adapt these chiropractic marketing ideas for the unique needs of your own practice. Take this guide to go! We’ve made this entire chiropractic marketing plan available as a free ebook. +PLUS, as an added bonus, we will give you our Google Ads for Chiropractors Case Study! We hold a fundamental belief that every marketing activity should be tied to a goal. We measure our efforts against these goals to know if we’re succeeding. When it comes to chiropractic marketing goals, we’re usually talking about a number of new patients and the frequency and recency of existing patient appointments. These goals can be made even more potent by adding a “why” to it. For example, “if I can increase new patient visits by 50 per month, I can open a second location.” Find what motivates you. 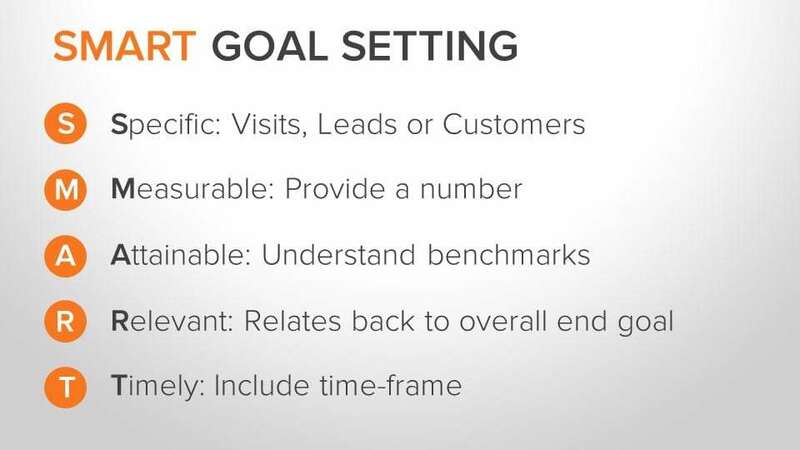 After you begin implementing some of the marketing activities below, you’ll want to set marketing targets to go along with your business goals. 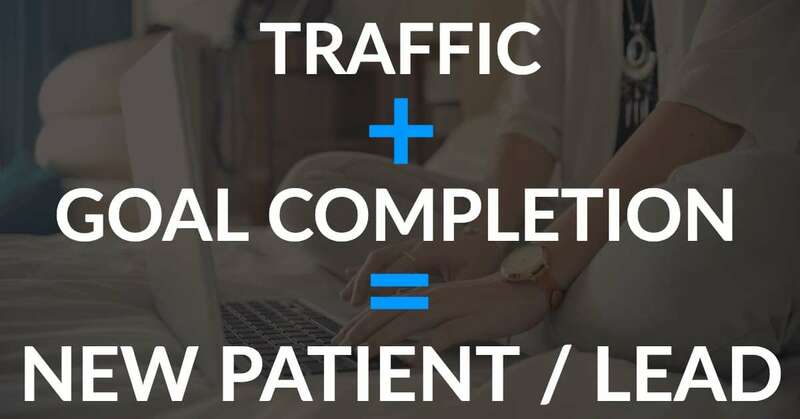 For example, if your goal is 50 new patients per month and you know it takes 100 website visitors to get a single appointment request through your website, you can do a quick funnel analysis to know how much website traffic you need to reach your business goal (5,000). Always collect data to help find ways to improve your conversion rate so that your marketing targets get easier to reach. It is also beneficial to determine the average Lifetime Value of one patient. Knowing the lifetime value will give a better idea of how much you will want to spend to acquire one new patient. As you begin to analyze the results of your chiropractic marketing campaigns, it will be much easier to determine success or failure if you can weigh how much you’re spending to acquire a patient against how much you want to be spending. As a general rule (take with a grain of salt), think about budgeting ten percent of your growth goal toward acquiring new patients. If you want 50 new patients per month and the average lifetime value is $1,000, that’s a revenue target of $50,000 per month. In this example, $5,000 would be an appropriate monthly marketing budget to reach that goal. Read more about SMART goals. If you’ve dabbled at all in digital marketing in the last two or three years, you know how difficult it has become to grab attention. Think about your own habits as you scroll through your newsfeed. How many status updates, shared articles, videos, and ads do you scroll past before you stop and actually engage with something? 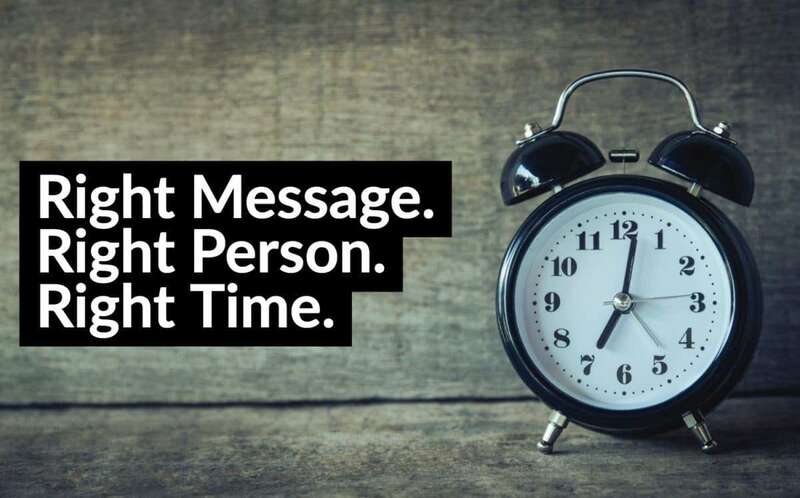 Because of the sheer volume of content being produced every second, chiropractic marketers run the danger of wasting time and money because they haven’t said the right thing to the right person at the right time. In order to earn the attention of your audience, it takes some work. The first step is developing your Buyer Personas. Some of our clients have a single buyer persona, while others have three or four. Think about who your ideal patient is, or your best referral source. Depending on the type of chiropractic practice you have, your ideal patient may be an athlete dealing with injury, a mom who’s focused on wellness for her family, a retiree who wants to age well, etc. Buyer personas don’t always represent patients. If referrals are important to your practice, think about who your best referrer is. Is it a specific type of healthcare provider, is it a worker’s comp case worker, or is it an attorney who specializes in auto accidents? Once you’ve decided who you initially want to reach, we recommend creating a semi-fictional persona based on this person. Even give them a name: Wellness Wanda, Retired Rita, or Attorney Alan (for instance). Document everything you know about this person. What are they looking for in a chiropractic provider? We also believe that in an online world just like in the offline world, there is a natural process that must be followed to build relationship. For chiropractor marketing, we call this natural process the Patient Value Journey. It’s our job, as chiropractic marketers, to seamlessly move your (current and future) patients from one phase of this journey to the next. The first step in the patient value journey is awareness. People need to know that you exist. Period. For your practice, this could be a referral, an item in someone’s newsfeed, a placed advertisement, or a search result. The offline equivalent is when someone mentions you in conversation, or someone sees you across the room. They become aware of your existence. After someone is aware of you, it’s time to engage. This is when you are able to provide value for the first time through content. Give someone advice, help someone, show them your personality. This usually happens on a blog, through video, photos, or social media posts. Offline, this is your first conversation. This is when someone gets their first impression about who you are, and they make their first decisions about whether or not you might fit into their life. If you have successfully generated engagement, it’s time to ask them to subscribe. You do this by providing a small “chunk” of value that solves a specific problem for a specific patient that is offered in exchange for an email address (and remarketing pixel). Now you have begun to build some trust and you have access to nurture them further into the relationship. Offline, this is when you ask for someone’s phone number or have your friend request accepted. Now that you are able to place targeted content in front of your future patient, it’s time to convert. 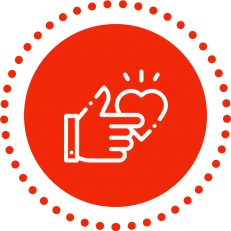 This is the initial acquisition; the goal is to provide a small victory and give them hope in exchange for a small amount of their money OR their time. This is where your money is made because the relationship has changed. You have a new patient. Offline, this is when you ask them for a cup of coffee. Now it’s time to ascend. Fresh off of their excitement, the time is ripe to let them know about the benefits of your core chiropractic offerings. New patients are great, but patient frequency and recency are just as important (if not more so) to the bottom line. This is where you nurture your existing patients to deliver more value and become more profitable. 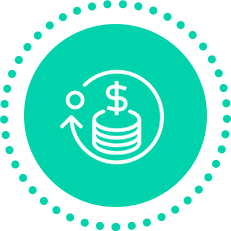 This is a great time to explore upsell and cross-sell opportunities. In the offline equivalent, you are now married. You know what they say, “never stop dating your wife.” It’s the same with your patients. 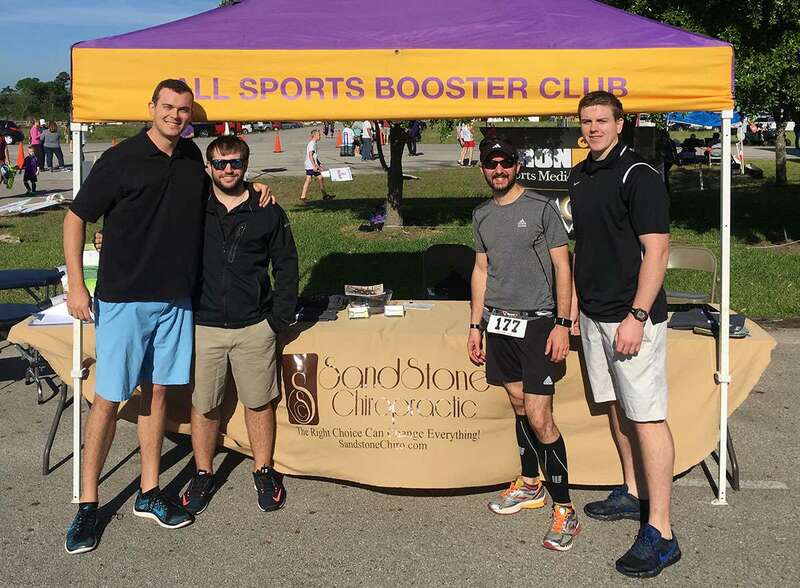 One of the things we love about marketing for chiropractors is the community that is developed. When you are creating health in someone’s life, they often want to be more than your patient, they want to be your advocate. Reviews and word of mouth referrals are THE MOST powerful source of new patients. You should be providing your patient base with opportunities to advocate and give testimonies on your behalf. The offline equivalent is starting to break down, but basically this is when your spouse talks about how wonderful you are on social media, not that you’re looking for another spouse, but … you get the idea. Don’t stop at advocacy (which is passive), the final step in the patient value journey is creating promoters (which is active). These are your patients that are making an effort to let as many people as possible know how you have affected their health. This is usually accomplished through a rewards program or similar vehicle. The offline version gets really weird at this point. Hopefully you aren’t offering rewards to your spouse to try and recruit more spouses. The patient experience usually begins either on the phone or (increasingly) through one of your digital channels. Make a good first impression by providing what visitors are looking for quickly and with as little friction as possible. You don’t want prospective customers leaving your site because they are frustrated that they can’t find what they are looking for. Attention spans are short these days. The answer will vary from page to page based on the topic of the page and the needs of the visitor. Data is the best way to discover what your website visitors want to know, but if you aren’t already collecting data, start with knowledge of your personas and the most frequently asked questions that your staff receives on the phone or through contact forms. Provide a Live Chat option in case the visitor has a question that can’t be immediately found. 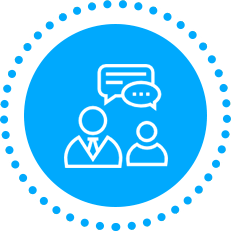 You can even set up chat bots to help answer some of the most frequently asked questions without staff ever needing to get involved. Once you’ve provided the initial information the visitor is looking for, immediately offer an opportunity to go deeper or take the next step in the Patient Value Journey. The next step could be to download a resource, read another article, subscribe to a newsletter, follow on social, or the ultimate prize… Schedule an Appointment. Choose the most relevant call to action for the content on the page and the position in the Patient Value Journey. There should be some kind of action to take to move forward on every page. With analytics, you can track just about anything. You can set up goals and conversion paths to help you see where visitors are getting stuck, you can keep tabs on your best traffic sources and most engaging content. You can even track demographic data for your website visitors that can be used in advertising campaigns. You will hopefully get to watch as your traffic and conversion percentages continue to move up and to the right. Google Analytics is free to use, but someone on your team will need to invest some time to learn to use the platform. 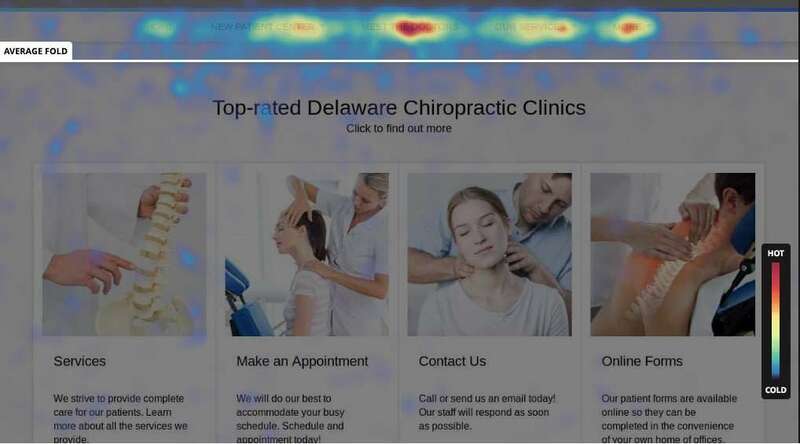 Hotjar can help track user experience by allowing you to watch screen recordings of your website sessions, review heat maps and scroll maps of any page on your site, and survey visitors about their experience. There are free and paid versions. A couple of tools that we use that help identify and evaluate keywords are: Moz (Keyword Explorer) and SEMRush (Keyword Magic). When it’s time to rollout your SEO strategy on your site, it may require the assistance of a developer. If you’re using a WordPress site, YOAST SEO is a great free plugin to help make sure that you have all of your optimization boxes checked. Your website will always be your home base online, but there are increasingly more ways for people to find and engage with your brand off of your website. These outlets are generally referred to as directory listings and they include sites like Yelp, Foursquare, CitySearch, Vitals, Wellness.com, DocSpot, Google, Bing, Apple, and dozens more. For a local business like a chiropractic practice, these listings can greatly impact your reputation and the ability for people to find and interact with you. In all likelihood, these listings have already been created for your business and probably contain inaccurate or incomplete data. The companies that create these listings scrape the internet for data and use crowd sourced information to provide information about your practice to the public. Literally anyone can suggest a phone number, address, specialty, or leave a review. With bad information floating around about your business, it can make it hard for people to get in touch or understand who you are and what you do, and it simply looks unprofessional. On the flip side, if you control the data, it’s easy to get in touch, it makes your business look more attractive, it’s easy to promote marketing messages and business information, it sends positive signals to Google that effect search results for your website, and you look professional by providing consistent and accurate information across the web. 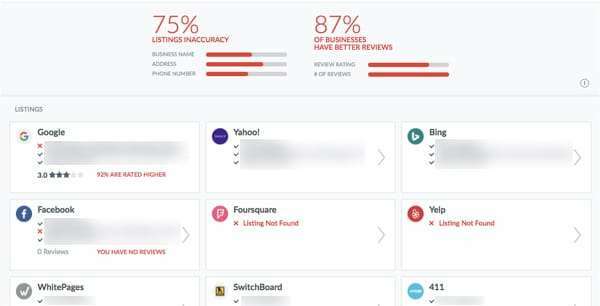 In addition, you can monitor and respond reviews left on listing sites which helps with brand affinity and service recovery efforts. One of the benefits that we’ve found with marketing for chiropractors is that there tends to be a strong community that forms around their practice. Chiropractic works, and chiropractic patients like to talk about their experience and promote the people who have made them well. Allow your fans to amplify your message on social media. Don’t worry about trying to tackle every channel. Focus on those where your personas spend the most time. Facebook is a must. You need someone on your team to “own” this responsibility. They should be a digital native, they should be friendly and community minded, and they should have earned enough of your trust to be your voice on social media. This is a valuable person to have on your team. If you already have them, count yourself blessed. We’ll call this person a “Community Manager”. Not every chiropractic practice that we work with is able to build community organically on social media, but the ones that do find that it has become a snowball that continues to build momentum. Before you know it, you can have a large, loyal following that helps you tell your story. Your designated social media person / community manager should always have their radar turned on to identify “shareable” moments. The goal is to give your practice a face, a personality, and a heart. The important thing is that you don’t fake it. People can smell “fake” a mile away. Care about what you do, have fun with what you do, and share those experiences with your online community. You’ll be amazed at the results. Remember, people don’t use social media to “buy now”, but they will attach themselves to your brand and become customers if you become a resource and provide value before you ask for anything. Show them that you care about them and they will care about you. If you have multiple chiropractic clinics, you will want to set up “locations” through Facebook. Your main page will be your “Brand” page, and each location will have its own sub-page. These locations will be available from your main page, and you’ll now have a map that displays where your locations are. We recommend using the setting that pushes all “Brand” page posts to your location pages unless you have a Community Manager for each location. More on setting up your Facebook Locations here. 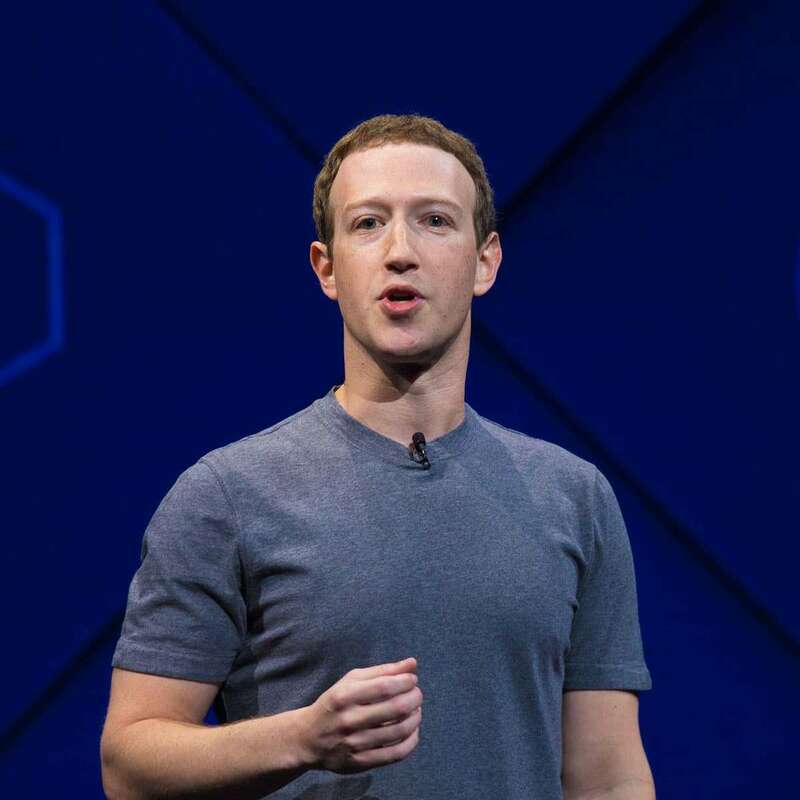 In January 2018, Facebook announced that users would see a decrease in content in their newsfeeds from businesses, brands, and publishers. While organic reach was already at 1-2%, many marketers expect it to fall to zero. Organic posts are still important, but you’ll need to pay in order to reach your audience. Keep reading for some best practices on maximizing your budget. Many chiropractic practices have dabbled with boosting posts on Facebook, but few are truly aware of the tools that are available to them. Facebook Business Manager is one of the most powerful tools available to chiropractic marketers, and it is completely free (not including ad spend). However, it is important that you discover the professional tools of whatever platform you are using. You should already have set up your listing through Google My Business, which now supports social posting in addition to Google+, and you should also explore LinkedIn Campaign Manager if your personas spend time there. It can be a bit confusing to get going, but once you learn how to navigate the platform, you can do some amazing things. 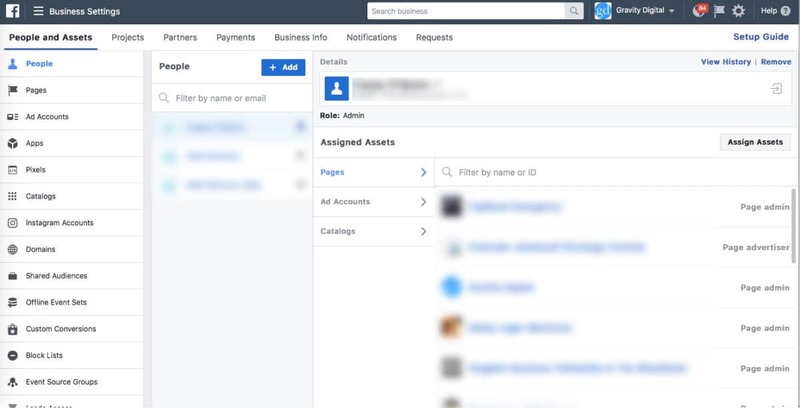 If you haven’t already set up Business Manager, you can follow the three-step process in our guide to setting up Facebook Business Manager. After your Business Manager is created, one of the first things to do is create some custom and lookalike audiences. From the main Business Manager menu, under the second column from the right titled “Assets”, click on “Audiences”. 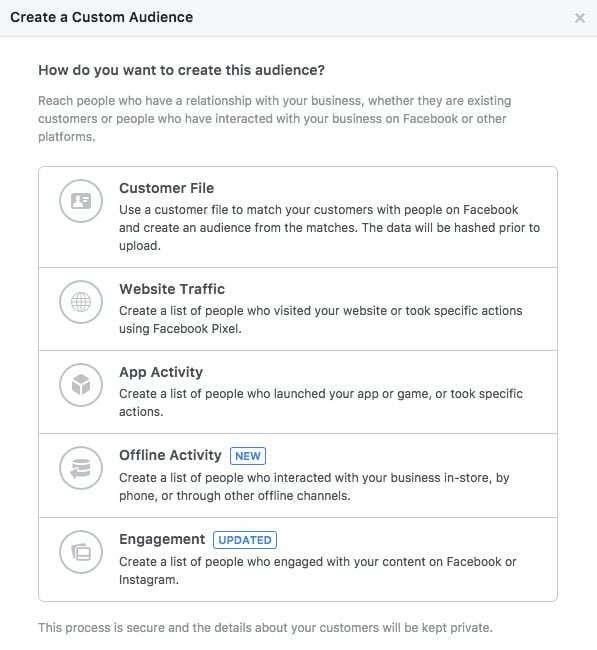 From here, you are going to create a variety of custom audiences based on the data that you and Facebook have collected and will continue to collect in the future. 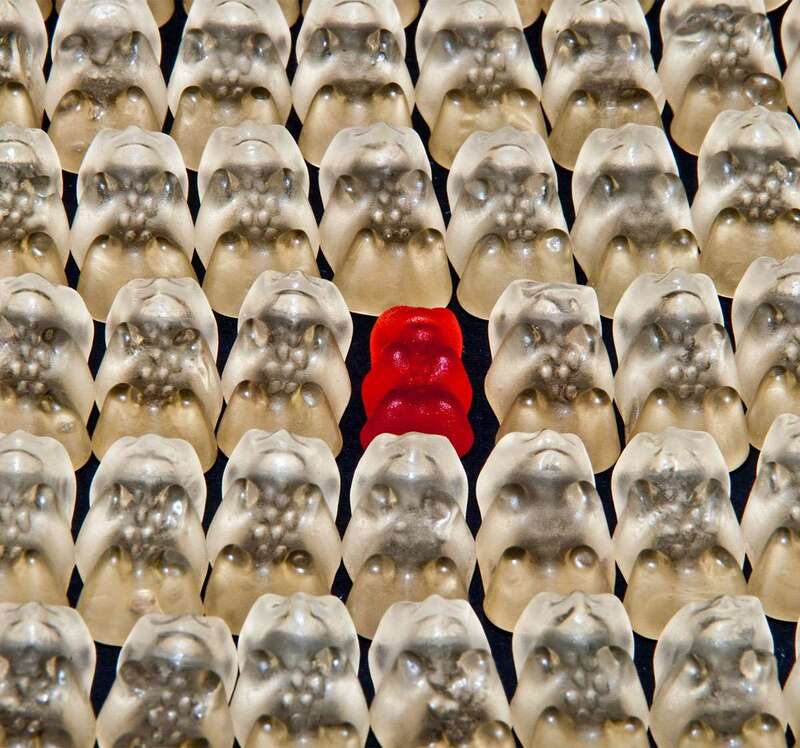 As you create these audiences, think about different ways that you can segment people. Create a Custom Audience from an email list. If you use Mailchimp, you can sync directly so that this list is always up to date, otherwise you can import a .csv file. If your email list is already segmented, import your different segments and name them accordingly. Create multiple Custom Audiences based on website activity. You can create an audience for all website traffic, for visitors of specific pages (think service pages, location pages, topic related pages for certain conditions, etc), create an audience based around time on site or time on specific pages, create audiences related to your pixel events (form submissions, purchases, etc.). These different segments can be very powerful if you want to promote a very specific message later on to a very specific group of people. You will have a highly qualified audience! Think about sending out back pain information to people who you know have already downloaded your guide on back pain, or promoting acupuncture messages to people who have spent significant time reading your acupuncture service page. Create multiple Custom Audiences from people who have engaged with you online in different ways. You can create them based on viewing certain videos, engaging with your page, posts, ads, or via Messenger, create an audience based on Instagram engagement, and others based on Facebook Event responses if you’ve had any. Again, if you want to promote your next Facebook Event, or run a campaign to generate engagement around your content, you’ll have a very qualified audience to target. Someone watched your video on decompression? They might be interested in a blog post on a related subject or a special offer. Right Person, Right Message, Right Time. You will be prompted after setting up these audiences to expand them by creating Lookalike Audiences. These are a gift from the marketing gods. Create a Lookalike Audience for each of your Custom Audiences. 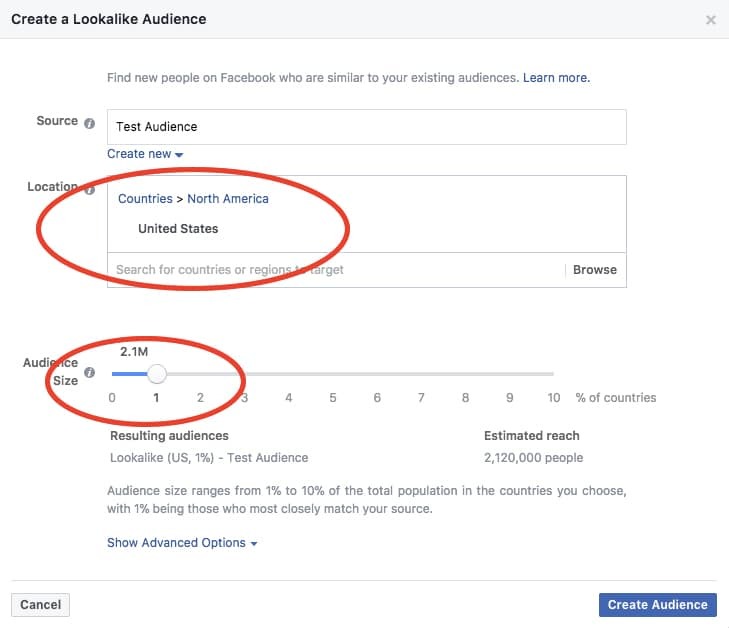 Set the location to United States and your Audience Size to “1”. Facebook will then find people who are similar to the people you’ve identified in each segment that you’ve created. Now, you have the ability to reach new people for your specific marketing messages based on people who you already know are interested. Your Lookalike Audience will likely be around 2.1 Million people, but you will be able to drastically narrow this down later as you set your geographic and demographic parameters in ad creation. The 2.1 Million people represents the 1% of the population in the United States that most closely resemble your sample audience. It can sometimes take a couple of hours for your audiences to be populated by Facebook, and you need at least 100 people in your Custom Audience to create a Lookalike. The bigger your sample, the more accurate the lookalike will be. The good news is, your Custom and Lookalike Audiences are dynamic (except for subscriber .csv imports) and will continually be updated in real-time, so they will just keep getting better and better as they grow. Now that you have created some Audiences, you can begin to see how you can deliver relevant chiropractic marketing messages to people who are actually interested in what you have to say. Before we jump into ad creation, it’s important to understand the basics of ad types, structure, and placement. Traffic: Send more people to a destination on or off Facebook such as a website, app or Messenger conversation.. Conversions: Drive valuable actions on your website, app or in Messenger. Catalog Sales: Create ads that automatically show items from your catalog based on your target audience. Next, Think of your Facebook/Instagram advertising in three levels: Campaigns, Ad Sets, and Ads. An ad campaign is unified by a singular goal. You could run a campaign to promote a new service offering, another one to encourage event responses for a 5K you’re hosting, or another branding campaign to drive awareness. Within a campaign you may have multiple images, headlines, ad texts, or audience targeting options – but they all point toward the same goal and drive. Ad sets are the different segments of your campaign that you can test against each other. You may want to test different custom audiences to see which perform the best. The more ad sets you have, the more you can optimize, but it also means that your budget will need to be larger. More testing requires more impressions, which requires more dollars. •	Ads: Ads are the individual ads that are comprised of your different creatives and targeting options. For example, one ad could be Image A with Headline C, and Ad text B. By this point in the process, your community manager should be posting a lot of “feel good” content on your Facebook page. If you’ve been disappointed by the level of engagement, there is a reason (and it’s not your community manager’s fault). Step 1: Make sure the stuff being posted on your page is real, fun, and not sales-ey. Step 2: “Boost” your posts to the relevant audiences you’ve created. Put $1 a day for 7 days for each post. Most of the boosts can end naturally after 7 days, but occasionally you’ll have some “unicorns” that perform very well. Increase the budget and duration of these promotions. As your Custom Audiences begin to grow, you will have the ability to target groups of people that Facebook has identified as interested in various aspects of your chiropractic practice. If you know that you have a list of people who have read your article on cryotherapy, then it makes sense to place ads in front of them to remind them of your cryotherapy services or let them know about any specials. When it comes to Bottom-of-Funnel ads, you can experiment with a variety of settings and creatives. Just remember to ask your audience to take some kind of action in the ad and on the Landing Page (if you’re using one). Use a variety of different images: try some photos of your facility/team, try some stock images, etc. If you don’t have an experienced designer in house, there are some great free tools that can help. Read our post on Three Free Image Tools for Healthcare Marketing. Try using video. Add subtitles, as videos play without sound by default on Facebook until they are clicked. Are there any loyal patients you know that would do a testimony? With video, the first three seconds are vital for grabbing attention. Don’t use an intro, cut right to the good stuff. Go back and read your Buyer Persona documents before you write your headlines and ad texts. Test multiple options to see which ones will resonate the best. It can also be helpful to check comments, messages, etc. to see the way that people talk about your service. What words do they use to talk about the benefits? Now that you are reaching qualified audiences on social media, it’s time to turn attention toward Google. The Google Ads platform (called Google AdWords before August 2018) is divided into two networks: The Search Network and the Display Network (which includes YouTube). Both of these networks are valuable for your chiropractic marketing efforts. Just like Facebook, placing ads through Google can help you put relevant messages in front of specific audiences – only on a larger scale. Google is the World’s most used search engine and they over 2 Million websites in their display network that are available for your ad placements. Like any powerful tool – it takes some training. Google offers free courses to help anyone on your team learn to use the platform. Paid search ads appear above and below Google’s organic search engine page results. You can put them to use by identifying keywords that your audience is searching for, and creating text-based ads that direct people to your resources on the keyword topics. Paid search ads are great for reaching potential new patients who are actively looking for your services right now. If you don’t already have an organic search strategy in place, paid search is a great way to start getting qualified traffic immediately. It’s also a great way to supplement your organic search rankings. Run campaigns around all of the treatments you offer and conditions that you treat. 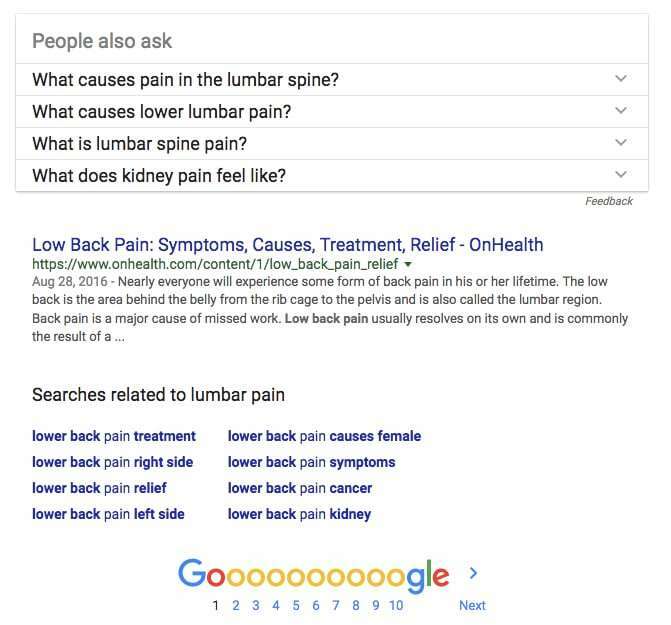 Try to use words that your patients would use, and consider Google’s recommendations for keyword expansion. Run a branded campaign for your organization name. This may seem redundant as you will likely hold the top organic spot, but it’s all about taking up as much real estate on the search result page as possible. 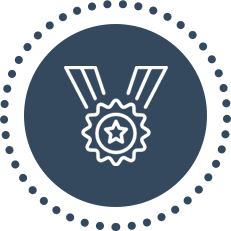 Clicks will be cheap, and your relevancy score will be higher than any competitors attempting to run ads around your organization’s name so you can get higher placement easily. Ad Rank: The position of a paid search ad. Bid Amount: How much an advertiser is willing to pay per click. Keep your message clear. Allow the visitor to accomplish their objective, based on their search, when they arrive at your site. This is known as user-intent. Not only does Google look at this, it’s a healthy way to think and operate. Stay organized by running multiple campaigns. Rather than running a single campaign with a long list of keywords and ads, group your keywords, ads, and landing pages. 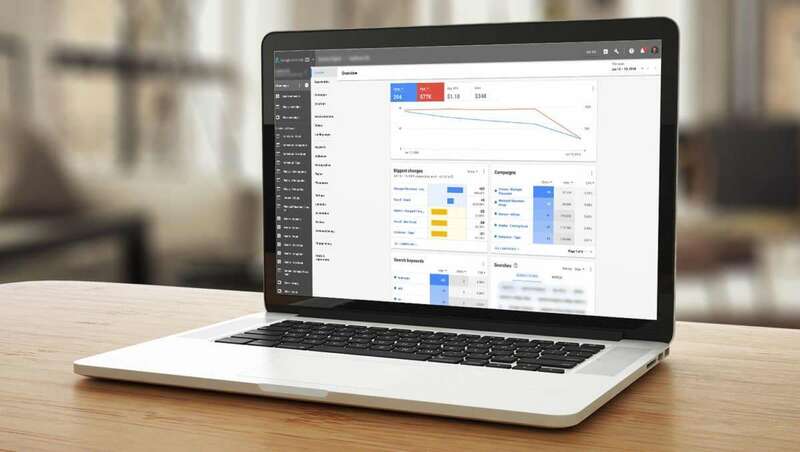 You’ll be able to better manage, optimize, and spot performance issues with your campaigns. Use ad extensions to provide extra features on your ads. Extensions include call buttons, location information (great if your chiropractic practice has multiple location! 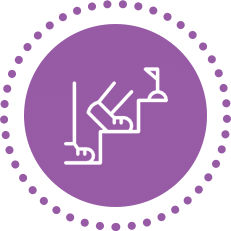 ), links to specific parts of your website (such as conditions you help treat), and additional text (like therapies and treatments you offer). Chiropractors should also look at the Display Network on the AdWords platform. Why? Because the Google Display Network reaches 90% of Internet users. Within the network there are several ad types, placement opportunities, and targeting options. There are a variety of different targeting combinations that can be used. That’s where the power of the Display Network is. We can’t cover everything, but here are the features chiropractors should pay attention to. Text: Very similar to the Google Search ads. A headline, two lines of text, and a URL. Image: These ads come in a number of formats, but they are essentially banner ads. You can provide your own designs, or rely on Google’s platform to build responsive ads. Video: Any video asset you have can become an ad. Websites: Google’s Display Network includes over two million websites. Apps: There are over 650,000 apps in the Network. Gmail: These ads appear in Google’s mail platform. YouTube: Almost 5 billion videos are watched on YouTube daily, it’s a great place to run ads. Keyword Targeting: Target ads to people visiting websites, using apps, and watching videos that contain words or phrases related to your chiropractic services, or conditions you treat. Topic Targeting: Similar to keyword targeting but rather than providing a list of keywords, choose from Google list of provided topics, currently over 2,200 topics. Placement Targeting: Specify a list of websites where you want to run ads. Affinity: Just over 100 categories. In-market: Just under 500 categories. Retargeting: People that have visited your website. Put yourself in your personas shoes. Where do they spend time on the web? Where do they turn for information? Figure this out and serve ads to your audience where they are. Context is key. Use same principles of relevancy that we discussed in social ads: right message, right person, right time. Think about the journey a potential patient takes and speak to where they are in that process. YouTube has a few nuances you’ll want to be aware of. You’ll need to have a YouTube account and channel. With any video ad, make sure to grab the viewer’s attention within the first few seconds. Get specific with retargeting when possible. Create an audience for visitors of specific service pages and serve retargeting ads for that service. Be aware that Google can disable retargeting audiences and they have been known to do that within the health and wellness space. If you run into difficulties, consider other retargeting services like Perfect Audience. Use Google Tag Manager. Digital marketing requires installing a lot of tags, or snippets of code, on your website to help with tracking, stats, etc. Use Google Tag Manager to keep it as simple as possible and require as little input from a developer or programmer as possible. You have defined your personas and you have created social media and advertising channels to deliver your messages to qualified segments. Now it is time to boost all of your efforts by creating regular, helpful content on a blog. If you have the ability to create video content as well, then do it. Some chiropractors find that creating videos, and then having a transcript created and re-written is the easiest way to regularly blog. There are very affordable transcription options like Speechpad available. Decide on how often you think that you can realistically publish a blog post and then hold yourself to it. Regular content will build brand affinity, create trust, and establish you as a resource with your audience. It will create regular opportunities for social media connections to share your content with their friends. Create content around topics that are relevant to each of your personas at each stage of the Patient Value Journey. Each blog post, just like each page of your site, should include a Call to Action that invites the visitor to take the next step. Make sure that the Call to Action that you select is appropriate for the stage they are at and topic they are reading about. You should have opportunities on your website for visitors to subscribe to an email newsletter. 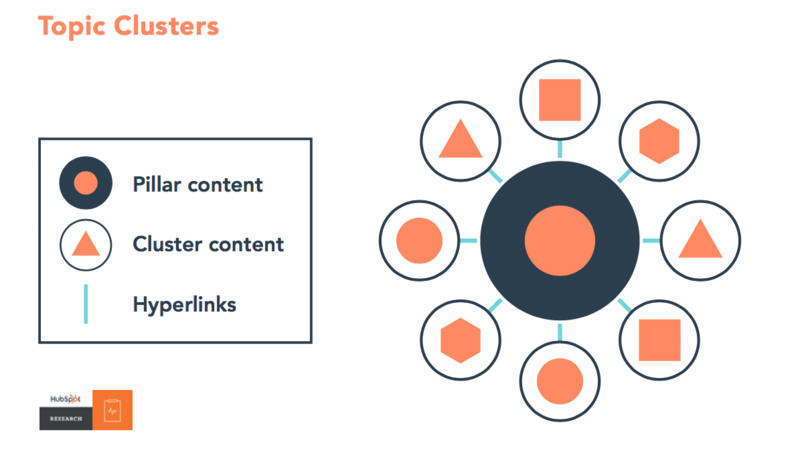 You can set up multiple lists for people to be able to manage their preferences on the type of content they want to receive, and allow you to segment them to provide more valuable content down the line. These can be topic related, clinic location related, or any other type of segment that would be useful for your patients and your practice. Content lends itself to email marketing. A regular newsletter is a great idea for sharing your blog content. Share your articles or videos that have generated the best conversion rates, the most traffic, etc. Your email marketing should have options for sharing on various channels and should also have links to leave you a review. There is an added benefit to creating regular blog content: organic search results. We’ve saved this for last because it is the most labor intensive and it takes the longest to achieve. You’ll have more capacity, confidence, and hopefully more new patients, if you get some quick wins with other strategies first. There is, however, great benefit to having the top spot for organic search. If you have done any research on SEO strategy in the last few years, it’s important to note that things have changed recently as Google’s machine has gotten smarter. We used to be able to pick a keyword, cram a page full of that keyword, and then go buy a bunch of cheap backlinks from junk sites and voila, we rank for that search phrase. Google has caught on to these tactics and serves up penalties for sites that still use these methods. Google’s primary concern is to provide relevant results for their users, and it can tell when a page has been stuffed with keywords – which is not fun for anyone to read or relevant for the searcher. Google has also gotten better at measuring the “intent” of the searcher. A search phrase may now result in top results that are topically related but don’t actually include the search phrase. They want to identify what the searcher actually wants and then deliver the best result. For chiropractic marketers that means two things: 1. No Junk Content. It has to be real and helpful. 2. It is better to try and own a “topic” rather than a specific search phrase. 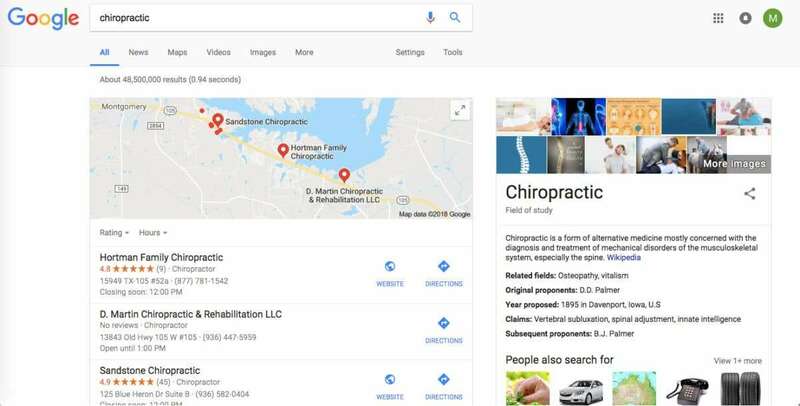 As a local chiropractic organization, the first topics that you will want to “own” are the ones that people are searching for at the bottom of the funnel: “Chiropractic Practice” and related terms. Beyond that, use a tool like Moz or SEMRush to determine what searches are being performed that are most relevant to your personas and your services. Think “Back Pain”, etc. Think of these Core Topics as the “Pillars” of your content strategy. For each “Content Pillar”, create a page on your website that covers the topic from top to bottom. It should be both broad and deep. If you’re using a tool like SEMRush, it can help you identify subtopics that can be used as different sections or “subheadings” of your page. If you aren’t using a service, just type your topic into the Google search bar. What questions popped up in the autofill? That’s what people are searching for and you should cover those questions deeply. Scroll down the search result page and find the section that says “people also searched for”, cover these subtopics as well. Finally, at the very bottom of the page you’ll see more related searches. When you are done writing, the page should be long (thousands of words), answer any question the reader may have, and Google should find it VERY relevant for the topic. To help make the page more digestible, use a lot of images and video, provide an anchor link table of contents to help readers easily find what they are looking for, and also a floating button that allows them to scroll back to the top. It can also be helpful to provide a way to download the page as a PDF, as many readers will want to keep the information for reference or just may find it easier to read a pretty PDF rather than a web page. Finally, be sure that you have natural conversion opportunities on the page. Your Pillar pages are valuable, and conversion should happen there. Once you have a Topic Pillar page in place, make sure it is easy to navigate to (perhaps in your main navigation), and then connect it to your content web. There should be many roads leading to this page (via links) from relevant pages. Because your topic is so broad, there are probably many existing pages and posts that make sense to connect it to. Think outside your site as well – YouTube videos, guest blogs, etc. The more links from quality sites that you can get to this page, the better. It should also guide your topic plan for your blog. Write blog posts related to the various subtopics of your Pillar Page and then link the blog posts to the page. These are all signals to Google that your page is relevant not only for the broad topic, but for the subtopics as well. There is another change to consider from Google’s latest search results pages. Google is now trying to provide answers to search queries without the searcher leaving the results page. It used to just be ten blue links on page one, now you need to consider search features like Map, Reviews, Photos, Video, Featured Snippets, etc. Consider using structured markup on your page in order to take advantage of these features. You can read more about Google’s Search Features here. At the beginning of this process, we set a business goal for new patients and marketing targets to support that goal. At least once per month, it’s important to review all of your marketing activities to see which ones are bringing you closer to your goal and which ones are wasting your time and money. What traffic sources are resulting in the most conversions? What type of content and what topics are resonating the most with your personas? Is the audience that you are building ideal/qualified? Do you need to adjust your message to qualify them more? What is your Cost per Acquisition or Engagement (depending on your goal) for each campaign? Are you growing? There is great value in building a loyal following online. They become your promoters and result in real dollars. With that in mind, let the data dictate your path forward. Most of the tools we’ve mentioned and all of the ad platforms provide their own analytics, but there are solutions that help tie everything together so that you can see it all in one place and get the big picture. We are big fans of databox, but there are several others as well. We’ve covered a lot of ground in this guide. You may be a bit overwhelmed getting started, but once you learn the tools and your audience it will get easier and the results will continue to improve. Marketing technology and consumer behavior changes fast and it’s important to keep a pulse on what’s happening. Our strategies have changed quite a bit just in the last year and will continue to evolve. Continue to learn. Consider attending a conference. Inbound by Hubspot is a great one, as is Traffic & Conversion by Digital Marketer. These events are a lot of fun and you’ll learn from some of the best marketers in the world. We genuinely hope this Chiropractic Marketing Guide has helped you. If you have any questions or comments, or have a suggestion about where we could expand this guide, we’d love to hear them! Is your chiropractic practice working for you, or are you working for it?